Welcome to Davis Family Chiropractic! 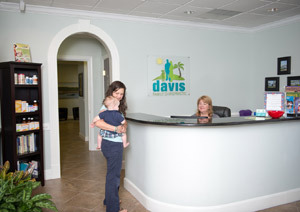 Dr. Davis welcomes your family to our friendly office. 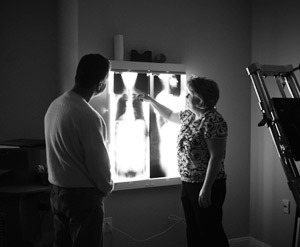 Our staff has a passion to help you live a great life, and you’ll experience true wellness health care with us. Welcome to our friendly office! When you first arrive, our team will greet you and help you get settled in. We offer our new patient paperwork online so you can complete this and bring it with you on your visit. If you have any questions Susan will help you with your paperwork and then show you to the exam room where you’ll meet our chiropractic assistant Kelsey and Dr. Davis. At this time we’ll have a consultation with you to discuss your medical history and health goals. Dr. Davis will talk to you about how chiropractic care works and tell you more about what you can expect. After the consultation, Dr. Davis will perform a thorough examination. This will include a thermal computer scan. This scan allows us to see the amount of stress on your nervous system. Dr. Davis will then examine your spine and take X-rays if needed. Dr. Davis will discuss your examination findings. Please plan for this visit to last around one hour. Dr. Davis doesn’t usually adjust on this first visit. After checking in on the iPad®, you’ll be shown to a room to discuss your examination findings with Dr. Davis. She’ll talk about what she recommends for your treatment plan and what you can expect on normal visits. Then it’s time for your first adjustment! Based on your treatment plan, you’re invited to visit us regularly to stay on track with your goals and maintain wellness.